Although I was able to invite up to four friends, I thought too many people from my crowd would probably result in total chaos. I’m also the type who works better in pairs, so I knew Rae – the other half of the “infamous” RaMala tag team – would be the perfect plus one. Komnata Quest is a global franchise, offering different types of escape room adventures with various stories and themes. In NYC alone, there’s several escape rooms currently in Manhattan and Brooklyn, with new adventures being built. Some are family-friendly, some are designed for couples, and some are downright scary – aka, not for kids under a certain age. Naturally, those are the ones that usually pique my interest. After seeing the preview for the Maze of Hakaina, I was a little creeped out – but in a good way. When I asked Alina if it was scary, she said it was more along the lines of “mystical,” as it’s based on the ancient Japanese tradition of sending young samurai warriors into a maze and having them find their way out. And this challenge incorporated the legend that the maze is also infested with demons. Lovely. 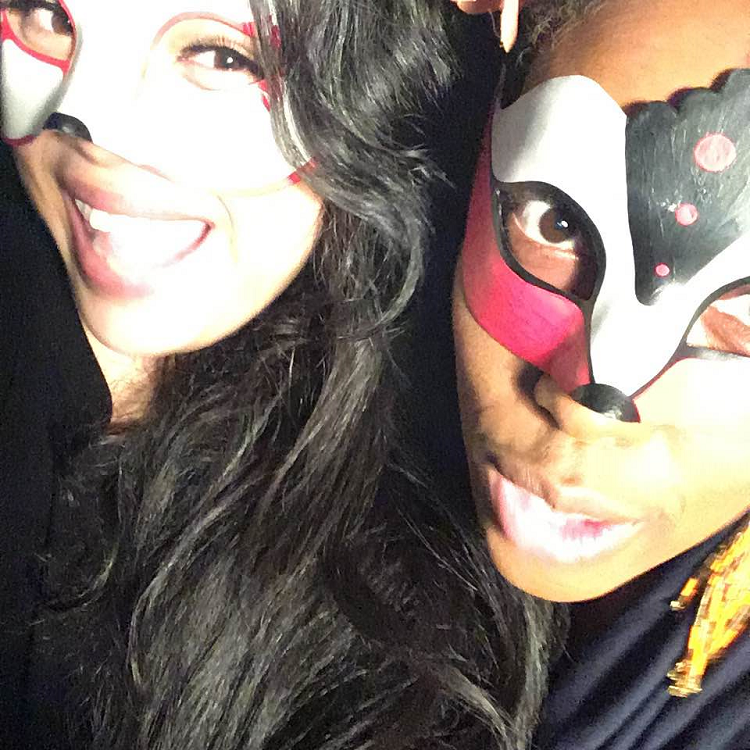 When Rae and I showed up for our escape room challenge, Alina briefed us on our task at hand – essentially, to solve a series of riddles and puzzles in order to escape from the maze within 60 minutes. I can’t really go into detail about what we saw or did, because I don’t want to reveal any spoilers. But within the first few seconds, I found myself trailing behind Rae, waiting for her to turn a corner before moving forward myself. I have an overactive imagination and was anticipating something or someone jumping out at me from a dark corner. By the halfway point, I finally started to relax a bit and focus more on solving the riddles. To be honest, I was assuming the challenge would be relatively easy, but it took a lot of brainpower, confusion, and wandering around aimlessly for Rae and I to figure certain things out. And guess what? We managed to escape in under an hour! I actually thought we had passed our time limit, and that Alina was just being nice by letting us stay in there. But our spazzy selves somehow pieced everything together (and relished in the fact that not all teams successfully complete the challenge). YAAAAY we made it out in under an hour! 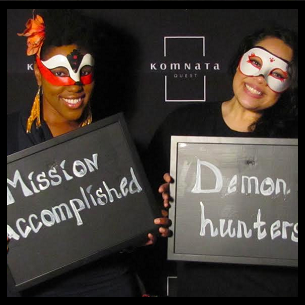 From a totally objective point of view, I’ll say this – you MUST try an escape room from Komnata Quest. It was honestly one of the funnest nights I’ve had in the city all year, and a nice change from simply going out to a bar – although we went to the Dubliner afterwards. It’s a fantastic idea for birthday parties and team building exercises as well. Otherwise, if you’re looking for something new to try, book an escape room challenge for you and your friends ASAP. Bookings start at $28 per person, and I love how each escape room is private – no problem solving with strangers. Also, Halela & 5th readers will receive a 10% discount by using the code: HALELA. Rae and I will definitely be back to try “Cold Summer” here in Manhattan once it opens. It looks sinister as hell, so I’ll probably want more people to come with us next time. Thank you Komnata Quest for such a wonderful experience, and thank you to Alina for being the perfect hostess!